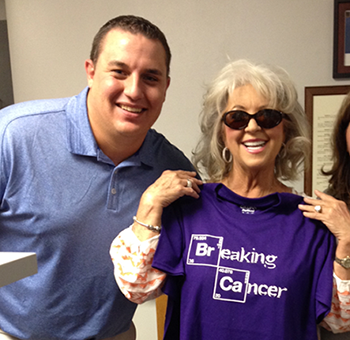 We are excited to help support Paula Deen’s efforts to help women and families in need with her Bag Lady Foundation. While Paula was here in Joplin for a dinner auction to raise funds for the foundation, she stopped by MSW for a tour and took some time to visit with our Team Members. Paula also signed a few t-shirts for an upcoming American Cancer Society auction in memory of a family member of one of our team members. The day was great fun and we thank Paula for her visit and efforts to help those in need!